Download ebook Café, Lounge or Stylish? Pick your Branch Type! How will the branches of the future look like? Will they have more technology integrated, more self-service channels, smart branches for core communication with clients, or tailored solutions for all sorts of financial needs? Banks have suffered from a branding perspective these last years with people no longer trusting financial institutions as they did, so they started to put extra effort in turning their branches into a place where people really want to go. They recommend the right digital innovations for their customers. 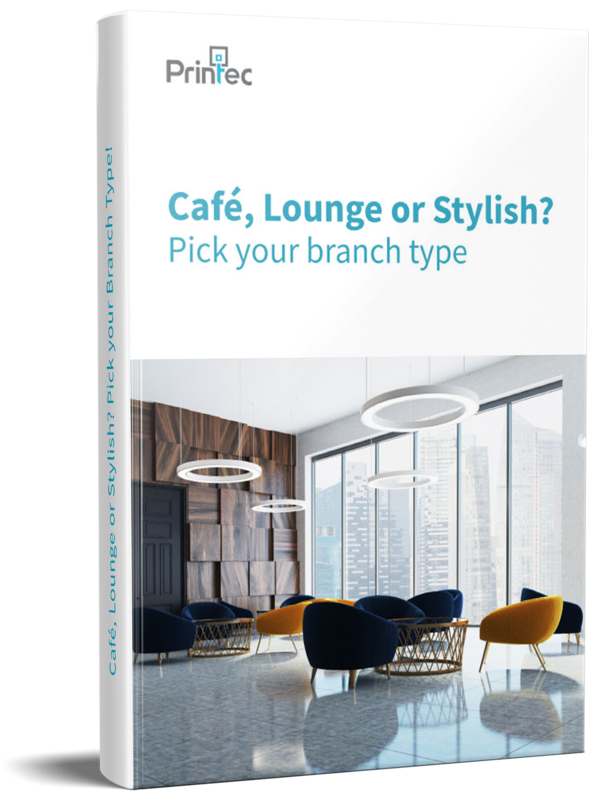 Discover the most popular types of design branches across the world and their functionalities. Read about Service Zones and types of New Technologies used for modern branches. ©2019 Printec Group - All rights reserved.